A BIG THANK YOU TO OUR PARTNERS & PARTICIPANTS ! India’s Food & Grocery retail market was worth INR. 32 lakh crore (USD 500 bn) in 2017 and is expected to touch INR 48 lakh crore (USD 758 bn) in 2020. The country’s food services market was at INR 3.3 lakh crore (USD 52 bn) in 2017 and is projected to climb to INR 5.5 lakh crore (USD 85 bn) in size by 2022. In both sectors, the business landscape is set to get deeply competitive, with consumers getting more demanding and spoilt for choice. Those with informed, first-mover advantages will clearly have an edge. This is the defining mission of India Food Forum, the foremost outlet of India’s best-in-class practices in Food Innovation, Retail Strategy and Technology. 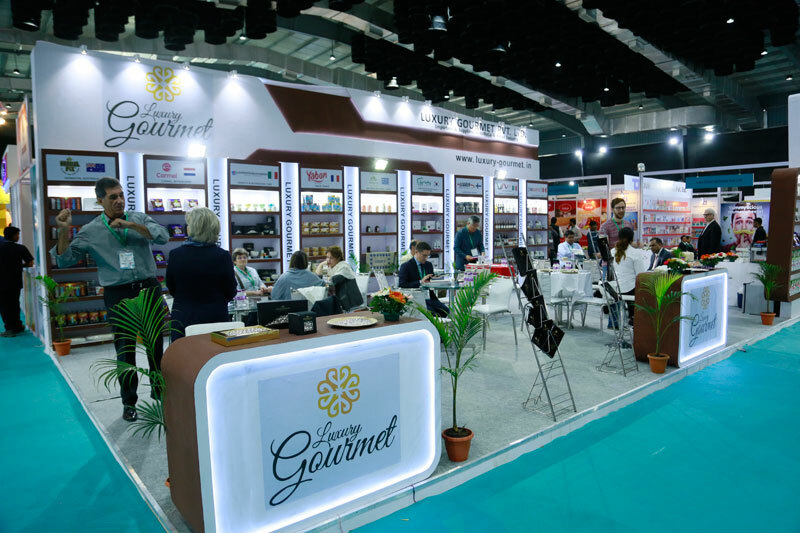 Bringing together industry leaders and brands from across India’s food manufacturing and retailing sectors, it comprises three structured exhibition zones and a compelling conference highlighting powerful future trends and innovations in food retailing, HoReCa and food technology. 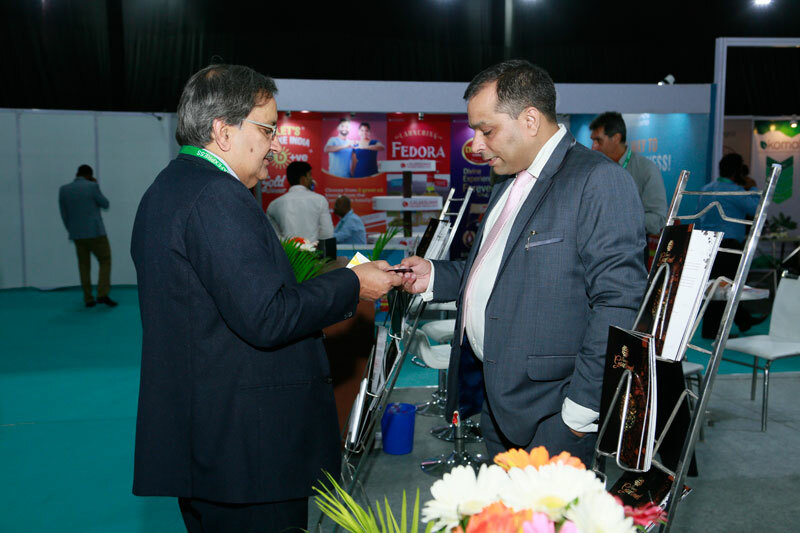 India Food Forum is India’s most influential gathering of the country’s finest minds in food research, creation, distribution, marketing and retailing. Launched in 2007, the annual business event is a powerful showcase of ground-breaking insights, analyses, products, technologies, emerging innovations, trends and developments, in the business of food in India. 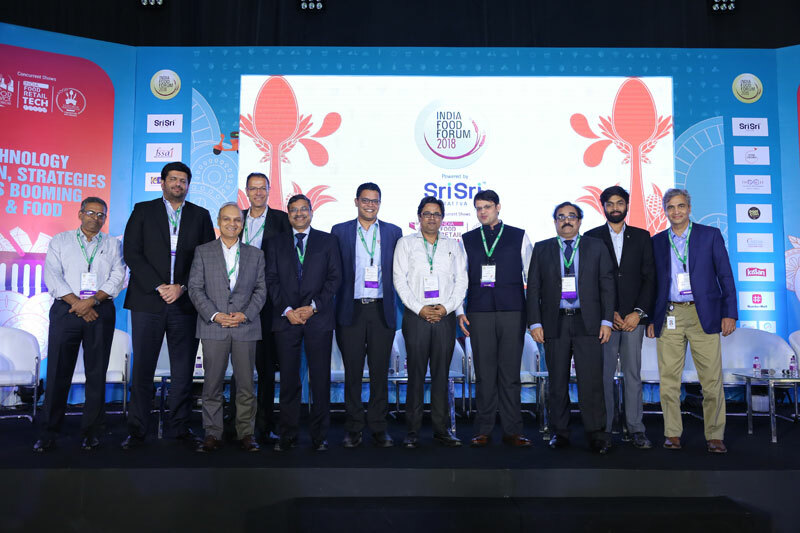 Every year, India Food Forum – through a conference, masterclasses and specialised exhibition zones — presents and analyses unique research findings, consumption and retail trends in food. The event puts together the most comprehensive capsule of trends and innovations that affect businesses engaged in the all aspects of the food retail value chain – from sourcing ingredients to retailing. 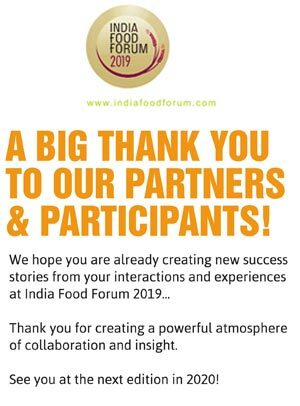 India Food Forum is an all-access platform to connect with every component that a food business needs — from rich market knowledge to consumer research to upcoming product innovation and retail technology trends to smart business networking. It is the one source for every insight you need to boost not just food business growth, but also profitability. INDIA FOOD FORUM IS INDIA’S ONLY KNOWLEDGE AND INTELLIGENCE PLATFORM FOR THE FOOD INDUSTRY. segments, opportunities for business and growth in key areas of food retail, along with observations by industry experts on key consumption trends, new concepts in F&G, FMCG, and F&B. The forum takes a holistic view of the food sector and highlights the potential areas for producers and sellers to know about the upcoming trends and scope in the food business. With a galaxy of top industry experts on our panels, this is the best platform to meet and interact with the pioneers as well as trend setters of the industry. India’s most prestigious accolades for food & Grocery and food service were launched in the year 2008 to acknowledge the rising importance of modern food & grocery retail, and its crucial role in the evolution of effective marketing & distribution of food and grocery brands in the country. Launching exclusively this year is IMAGES awards for food startups, enablers & innovations. Awards 2019 selection process involves inviting entries from the nation’s leading food service and food & grocery retailers across multiple categories.The awards jury comprises distinguished personalities in the field of research and consulting with thorough insights into the business of foodservice/ food & grocery and startups. DON’T MISS THIS AMAZING CONFERENCE AND OPPORTUNITIESS!